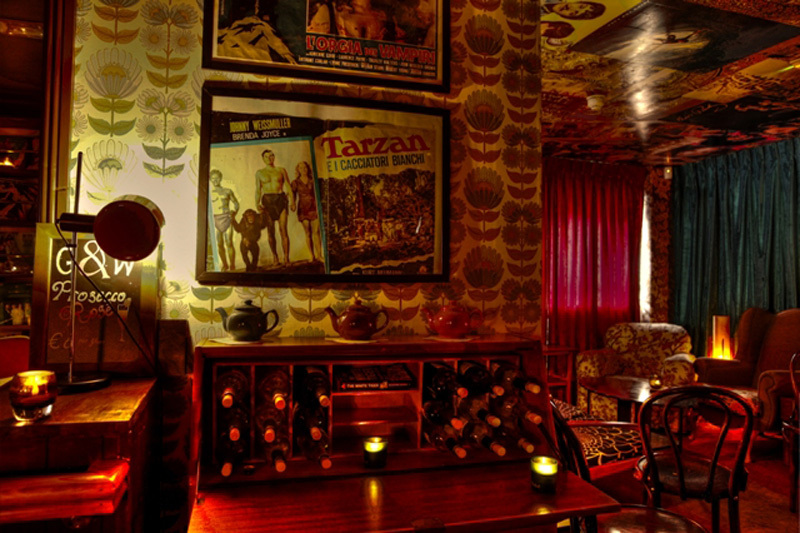 Gilbert and Wright is a retro bar, set in a 70/80s rock and roll style fit-out that specialise in great entertainment seven nights and amazing live music performances. Opened in July 2010, Gilbert and Wright has breezed in a breath of fresh air to nights out in Dun Laoghaire. We have worked hard on trying to put the fun element back into party nights with retro games, a cool, comfortable setting and funky cocktails and craft beers. In January 2012 we added a food offering for our customers with the help of our catering partners in Camile Thai Restaurant delivering us quality Thai food as well as finger food for group bookings and parties. 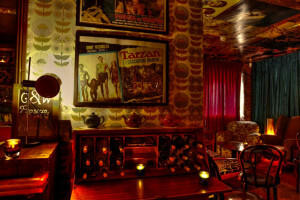 In 2012 Gilbert and Wright has continued to grow from straight to straight with the opening of our brand new Speakeasy upstairs function room. Gilbert and Wright collaborated with another local business in IMC Cinemas to offer people the "Movie Meal Deal". Consisting of a starter, main course, Cocktail, Craft Beer and your Cinema Ticket for only €24.50, and it's going down a storm. We also hosted a hugely successful local talent show called "The Wright Factor" with an overall grand prize of €6,000.00. Open Mic Night at Gilbert and Wright Open Mic Night at Gilbert and Wright. Pop in and enjoy the local talent. Games Night at Gilbert and Wright Games Night at Gilbert and Wright. Kick back and relax every Monday night at Gilbert and Wright. The Movie Club at Gilbert and Wright The Movie Club at Gilbert and Wright. Sitting Room Showcase at Gilbert and Wright Sitting Room Showcase at Gilbert and Wright. The very best in local music talent right on your doorstep. Afterwork Party at Gilbert and Wright Afterwork Party at Gilbert and Wright. Friday fun and DJ from 5pm till late.